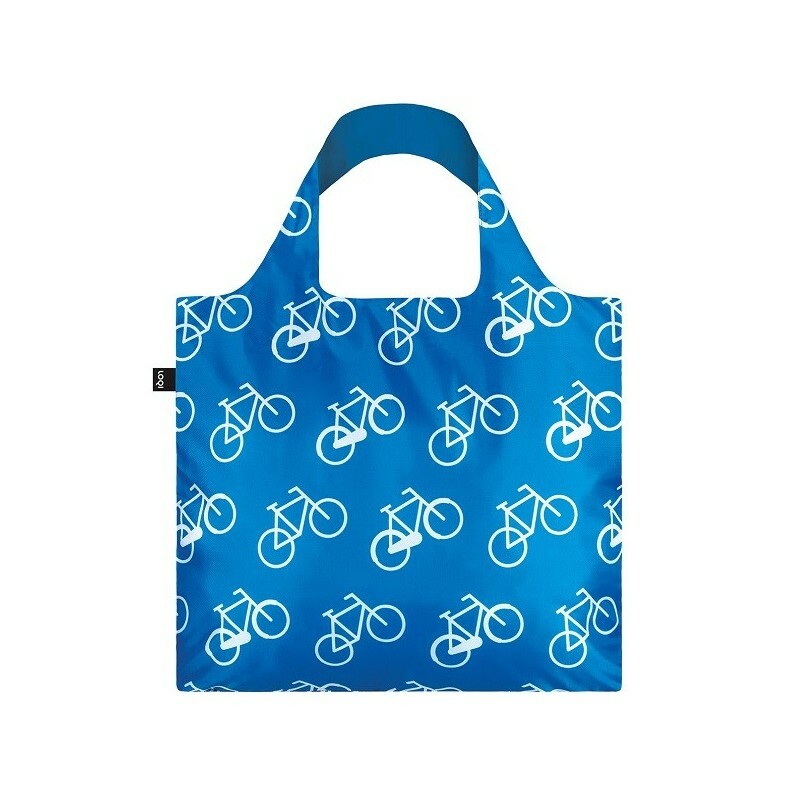 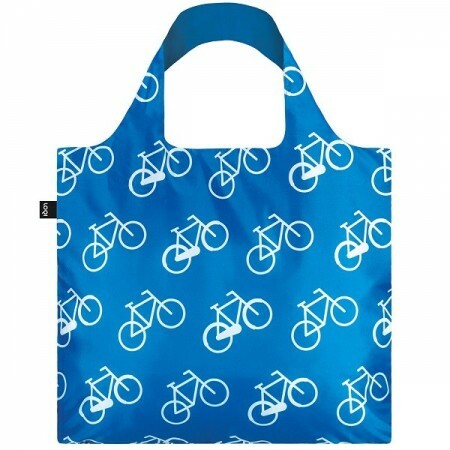 This Loqi Reusable Shopping Bag features a blue background and white bike pattern. 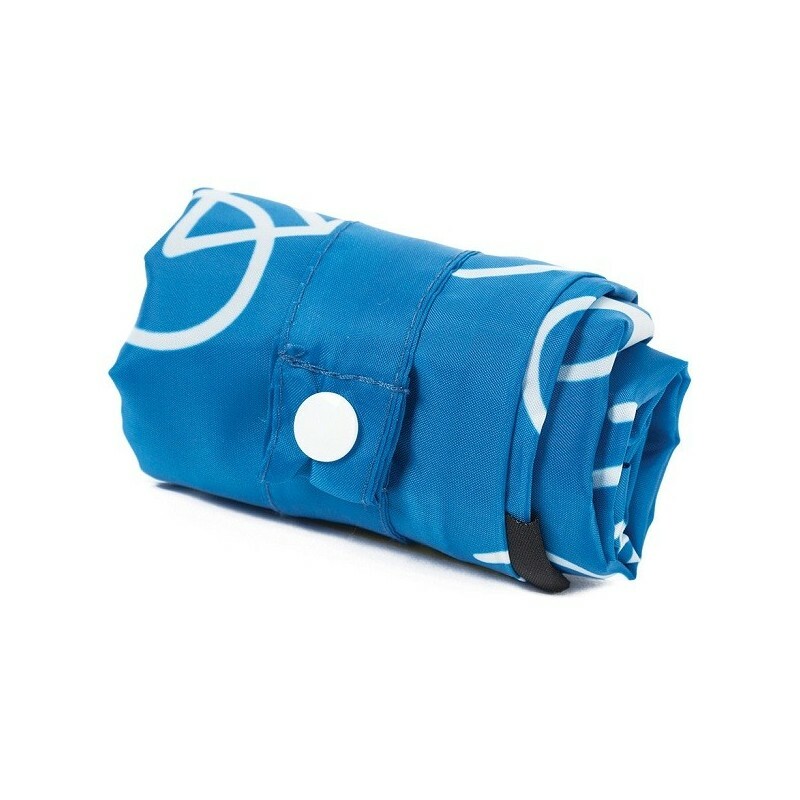 Strong, durable, water-resistant, food safe, lightweight, washable and stylish. 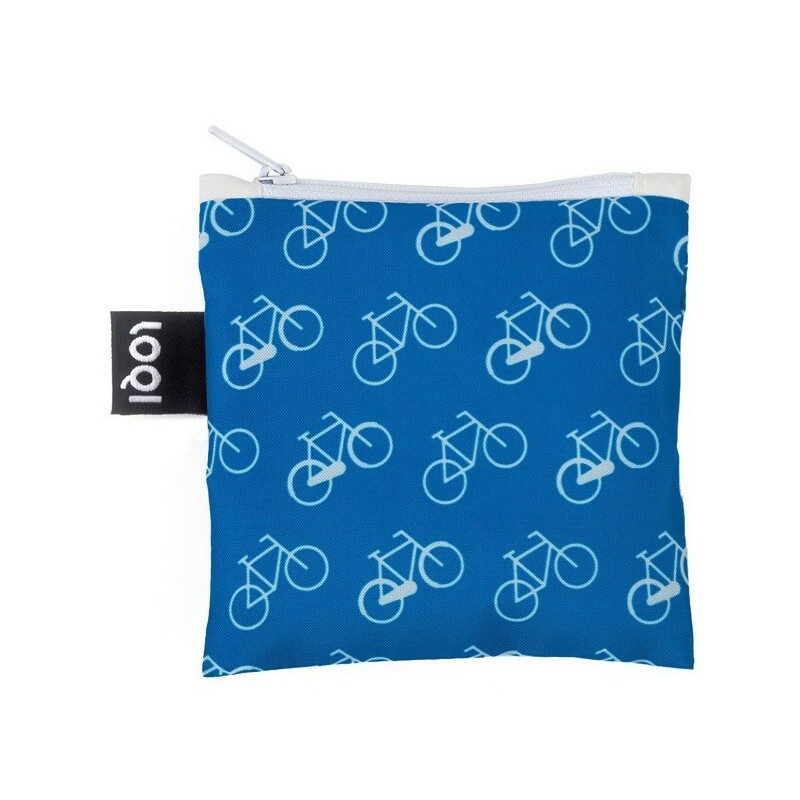 Holds up to 20kg and weighs just 55g.